This week, Dorit Rubinstein Reiss, Professor of Law at the University of California Hastings College of the Law in San Francisco, guest wrote an article on this blog (and I’m grateful when she does) regarding the possibility of using the US Federal Trade Commission (FTC), whose principal mission is the promotion of consumer protection, to regulate or block antivaccine misinformation. The process to request that the FTC investigate these individuals is relatively easy. And it’s time to change the discussion about vaccines, and make certain that those individuals who make money from lying about vaccines are blocked from doing so. Pressure from pro-science/pro-vaccine on the Australian state of New South Wales led to an order that Meryl Dorey’s “Australian Vaccination Network (AVN)” must change its name since it “is likely to mislead the public in relation to the nature, objects or functions of AVN.” The core of the argument was that AVN was and continues to be strictly antivaccination, and it’s name seemed to imply it was something else. Following this victory against Meryl Dorey, one of the most duplicitous individuals in the antivaccination lunacy, the New South Wales government revoked the charity status of AVN. All of this happened because Australian versions of us (unless you’re one of those reprehensible vaccine deniers, then you’re not like us), used social networks, letter writing, and personal contacts to get the government of NSW to look carefully at Dorey and her lunatic AVN. 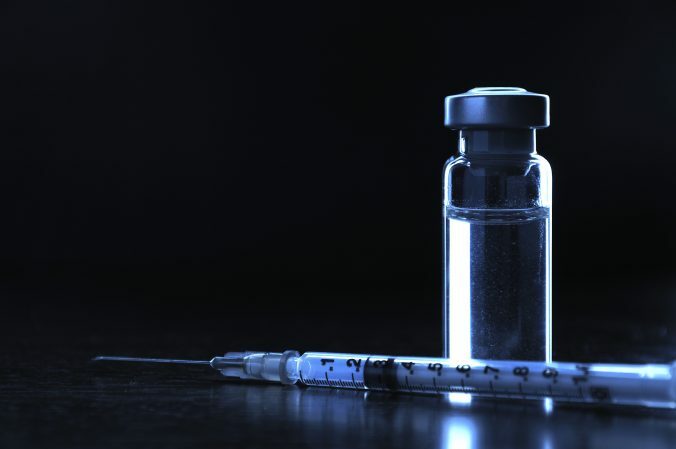 Those government officials then decided that the AVN was exactly what we thought it was–an antivaccination front group that didn’t rely on scientific facts. Maybe I’m feeling a little cocky because we were able to use social networks, like Twitter and Facebook, along with many science writers, to change Chili’s mind on sending money to an antivaccine charity called the National Autism Association, whose president, Wendy Fournier, cavorts with the fraud, Mr. Andy Wakefield. Like I’ve admitted to many peoples, I thought that social networking was an amusing time to share jokes and memes, but it was ridiculous to think we could effect real change in any meaningful manner. I was wrong. Won’t be the first or last time. As Professor Reiss stated in her article yesterday, “not in all contexts, but when anti-vaccine misinformation is disseminated in a commercial context, the FTC can step in and stop its spread.” So, at least in the USA, we might be able to stop the spread of some of the lies about vaccines that are spread in a commercial context. 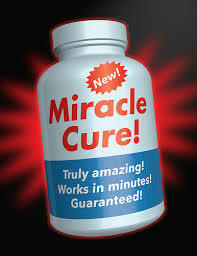 And, one of the first goals should be to stop the lies pushed by the Arch-Deacon of vaccine lies, Joe Mercola, who is a pusher of various alternative medicine methods and a vaccine denier, sells a variety of supplements, and also publishes articles suggesting these supplements can be better than vaccines for some diseases, like influenza. Mercola.com owns the National Vaccine Information Center (NVIC). Oops. The National Vaccine Information Center (NVIC) is a notorious, ill-informed antivaccination website. 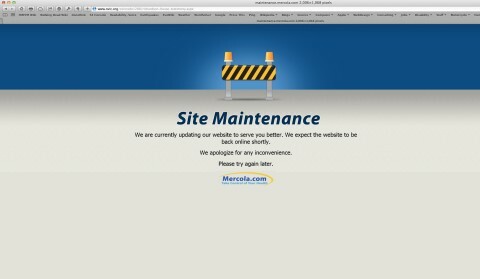 A few days ago, the website was down, and a placeholder image was used which included the logo of Mercola.com. NVIC claims to have no opinion about whether parents should vaccinate or not, the vast bulk of its “information” are myths, exaggerations and outright fibs about the both the danger of vaccines and the lack of effectiveness. We have now connected the dots. Mercola strongly advocates a nonscientific viewpoint on vaccines, and he commercializes supplements that he claims are better than vaccines. This is precisely why an administrative action by the FTC makes sense. So, let’s make this easy and quick for you. Go to the FTC’s complaint center, and click on the link “Other” on the right hand list of the page. Then click on “Health and Fitness”. Then click on “Other/Not Applicable,” since this is an ad you observed. Then click “No” on privacy concerns (this isn’t an issue with these guys). This is the Consumer Information section. You cannot do this anonymously, because we need to change the discussion about vaccines. Don’t worry, you won’t be called to Washington, DC to testify, but then again, they’ll pay for it! Now you’re in the meat of what we’re trying to do. This is where you put in your comments, click continue and you’re done. To make it this quick (I hate trying to write letters), here are some simplified comments that you can cut and paste into the Comments Section (after clicking some 15 times, sorry). Go ahead put in some of your own words if you want. Add more evidence if you know about it. As a parent/health advocate/vulnerable individual, I am extremely concerned about Dr. Mercola using inaccurate articles about vaccines, articles that recommend supplements as a viable alternative to them. For example, Dr. Mercola argues that garlic, zinc and vitamin D are viable alternatives to the flu vaccine – with no scientific evidence behind the claim, and against the scientific consensus: http://articles.mercola.com/sites/articles/archive/2013/02/04/zinc-garlic-vitamin-d.aspx. He then sells those supplements: http://shop.mercola.com/catalog/categoryinfo.aspx?filter=&search=vitamin%2520d&type=q&keywordoption=ANY&cid=2&fltrdesc. I hope you will exercise your power and prevent him from selling these products using false, misleading claims that can also put people at risk. Just copy and paste. And let’s start changing the discussion from profit hungry charlatans who use lies about vaccines to sell useless junk. Let’s use the power given to individual citizens to ask our government to make a change for the better. It’s one step, not saying this will work, but I’d rather try than not try. And sorry about the FTC website. I think the same person who designed healthcare.gov designed this one. OK, I’ve made this as easy as possible. Let’s make a difference in protecting our children from vaccine preventable diseases. Note: I intend to add other crackpots to this article in the upcoming few days. Let’s start with the Dark Lord, Mercola.